The Nissan DataScan I is intended for Nissan cars build between years 1989 and 2000. Majority of these cars are equipped with grey 14 pin Consult I connector. The connector is usually located near the fuse box. A list of cars that the software has been tested on is located on the Supported Vehicles page. The list is by no means comprehensive and is constantly being updated as new vehicles are tested. If your car is not on the list but has the above mentioned connector chances are the software will work just fine. If you are unsure you can always download the Nissan DataScan I software and test the connection to your car before registering the software. 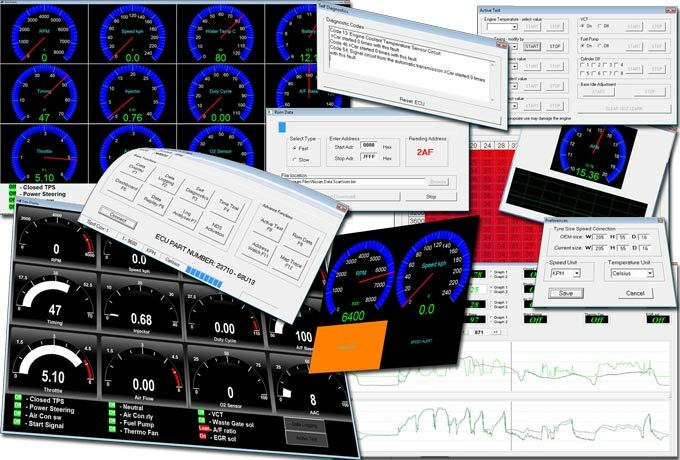 The unregistered software is limited to monitoring 2 engine parameters via the Dashboard function. The Data Replay, Log Analyser and Trip Computer functions are also available for free use. 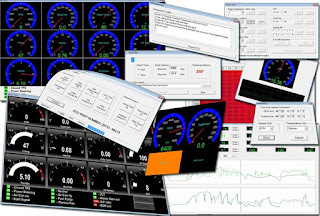 The Nissan DataScan I software supports factory Nissan engine ECUs. Aftermarket ECUs like Apexi Power FC or F-Con V Pro are not compatible with this software.